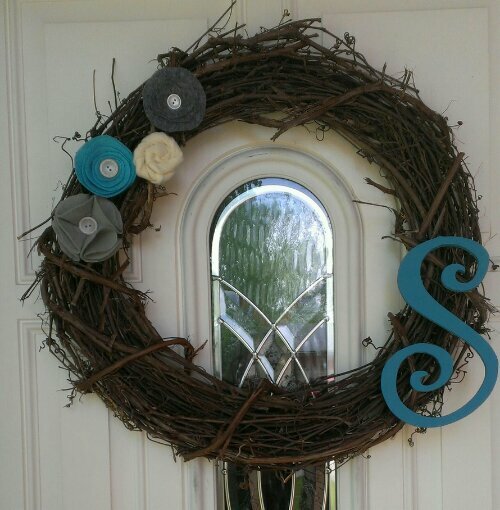 Spring Wreath | My Crazy Blessed Life! 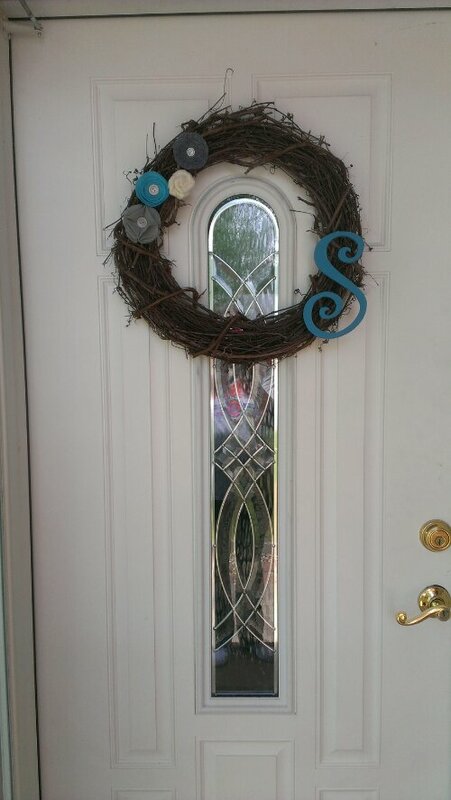 I bought the wreath forms from a local craft store. I made the flowers from felt and buttons. The letter is from the craft store as well and I painted it to match the felt.